I couldn't find an image from the actual film. But yeah, this fight is bad. A consistent fight with many of this ranking's lower entries is that they're too short, this one being the most guilty of that. 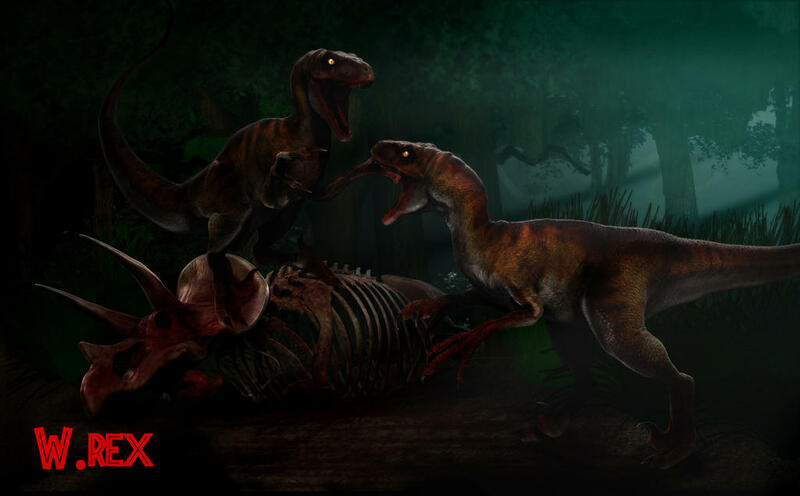 It's three seconds long and it contradicts the establishment of the Raptors as intelligent, cooperative pack-hunters. 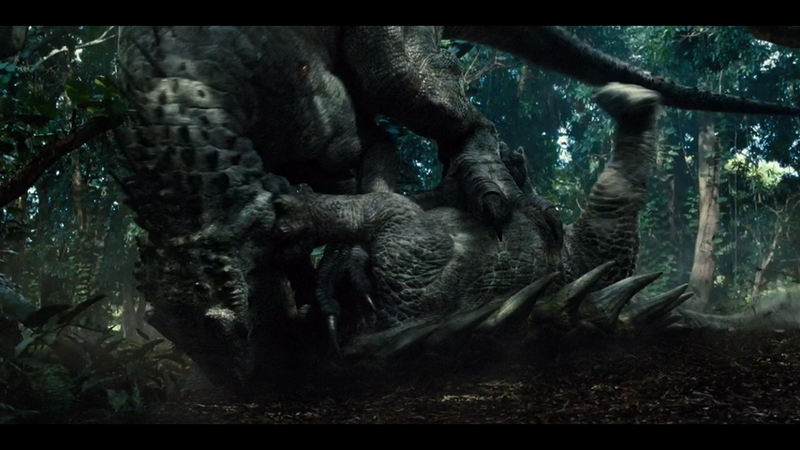 This fight isn't bad because the T.rex lost, it's bad because it's thirty seconds long. It's a shame that the first battle between two large theropods was this embarrassment, and it also adds nothing to the plot. This one's unique for being more of a chase scene than a fight, but it's still on the list because it involves dinosaurs killing each-other. 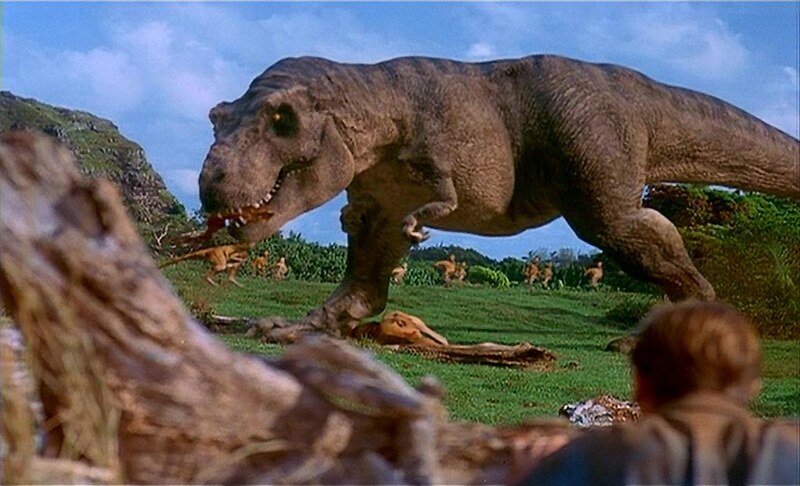 Isla Nublar's resident Tyrannosaurus goes hunting for a snack and chases a flock of Gallimimus. Again, it's short, but it is the first herbivore vs carnivore fight in the series. This fight somewhat fixes the duration problem, but it's too blurry and fast-moving to get a good look at what's happening. Still, it's a shame that the climactic fight of Fallen Kingdom is also the most underwhelming. 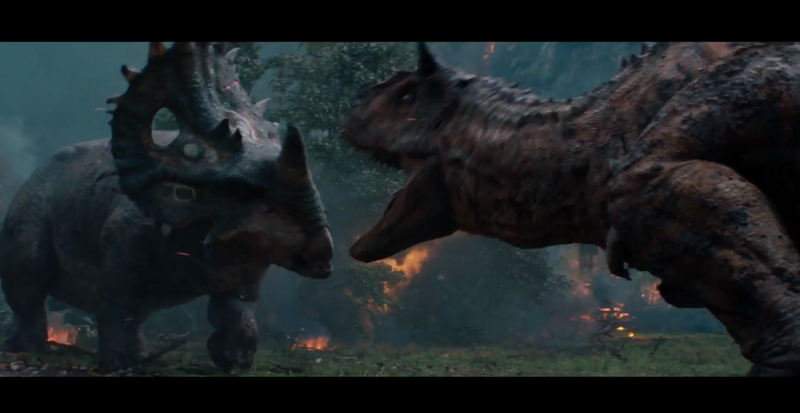 This is the franchise's first half-decent carnivore vs herbivore fight. I originally questioned the realism of the Carno's behavior, but apparently, carnivores take advantage of panicking herbivores during natural disasters. The fight is still kinda short but it's satisfactory enough. This is another kinda decent herbivore vs carnivore fight. It's a brutal display of the Indominus rex's power as she flips over what is basically a living tank onto its back and kills it. 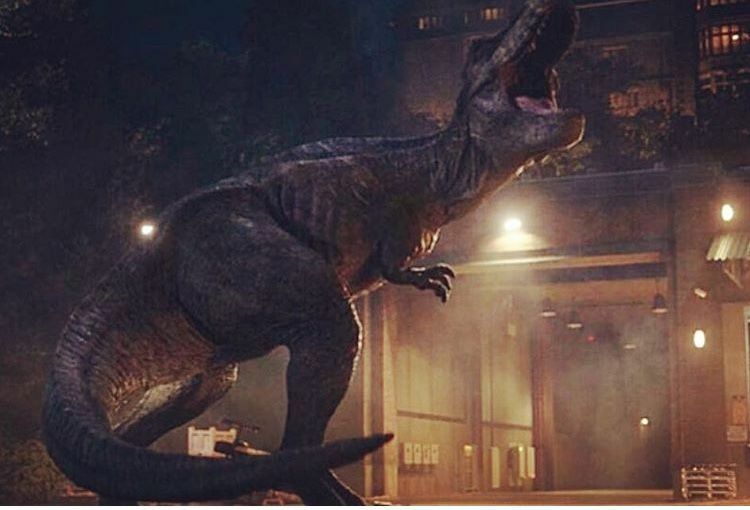 This one's also short, but at least it gives us an awesome tracking shot of Rexy raising her head, roaring, then running off. Yes, it's even shorter than the previous entry on this list, but it features homages to Eddie Carr's death and the best scene from the original movie (which will appear later on this list). No explanation required. *sigh* Fine. It's one of the few times JW's CGI is convincing, and the choreography is majestic, along with the chorus chanting in the background. 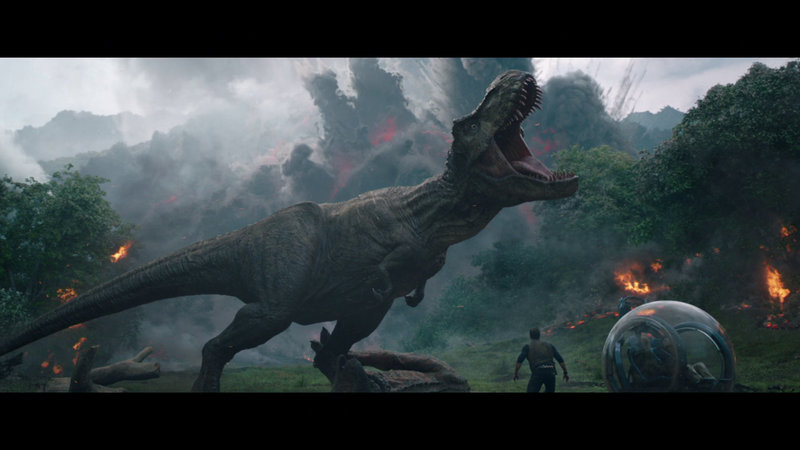 It's the ultimate showdown of nature's creation, the Tyrannosaurus rex, vs man's cration, the Indominus rex. 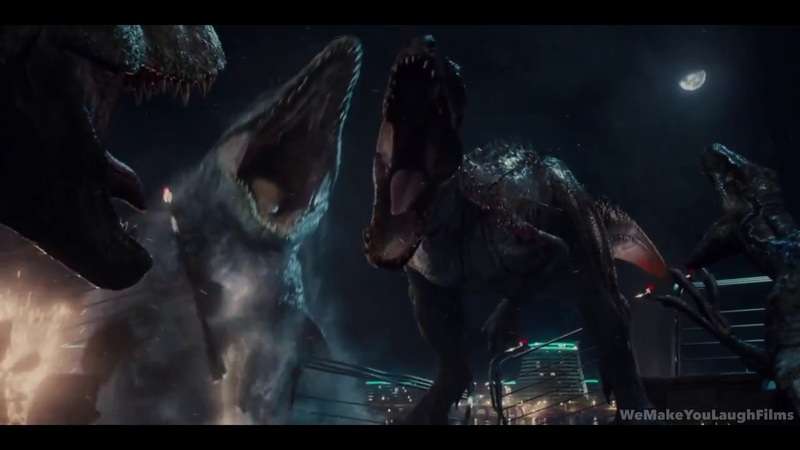 Throw in a Veloci- I mean a Dakotaraptor and let the Mosasaurus finish the job and you've got a fight for the ages. Yep, you all knew this would be my top spot. I've said many times that this is my favorite scene in any movie ever made. 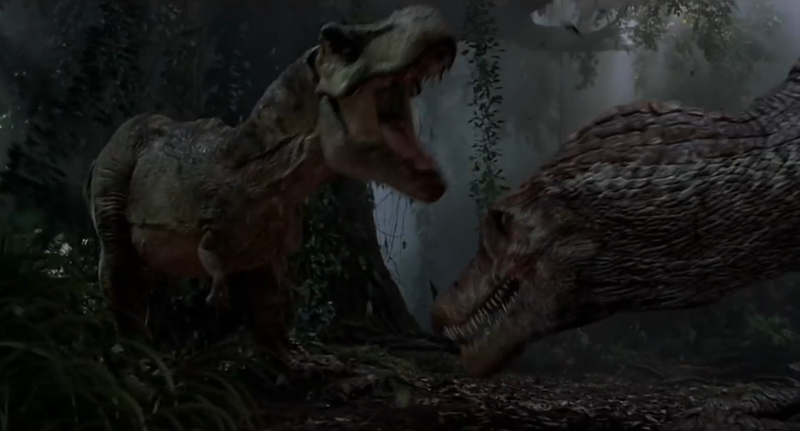 John Williams' score is epic, the CGI is beautiful, and, unlike the previous fight, Rexy's iconic roar is actually in it. Plus, it made her the legendary character she is today and the series' mascot. I agree with this list for the most part, but I would put the Carno vs. Sino fight a little higher on the list.